Graham, 29 years old; going More…for his MBA at Darden Business School at the University of Virginia. Both graduated from Bates College in Lewiston, Maine. Have written two books -- Walk Yourself Thin and Dying for a Smoke -- to try to do what I thought I was going to medical school to do -- prevent disease, since there are so few we can cure -- but found out that was not the best place for that, since there was so much that had to be learned about INTERventive medicine that there was no time left over for PREventive medicine. So, I left, went to California (where, it seemed, all new things start out [and where there's VERY little discussion about "wind chill" and "blowing snow", etc.]) and eventually did what I wanted to do ("eventually," because I arrived in California in February of 1968, the month of the Tet Offensive in Viet Nam, and suddenly I and millions of other under-26 Americans started looking like peachy-keen cannon fodder to the U. S. military. Thus began a multi-year odyssey around the draft. Anyway, look forward to seeing everyone. The Merciless Pistons. 'Nuff said? David Rives added a comment on Profile. David Rives posted a message. New comment added. Where is the article on Steve Lash that everybody's talking about. Can you email it to me at: davidrives@hotmail.com? 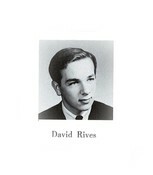 David Rives has a birthday today. David Rives posted a message. Was Mickey your dad or your uncle? Of course, hadn't your dad already passed away when you and I were in first grade together (1950), or am I way off on that? Still remember our first (and only?) "date:" having Cheerios in your Birchcrest kitchen that year, on a gorgeous Saturday morning (I think I walked to your house from mine on Stoepel and 6 Mile). Anyway, hope all is well. You might be seeing and hearing of me a bit in the coming year, so "stay tuned!" 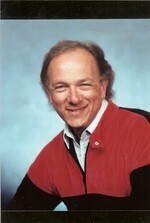 Irving W Wainer, Senior Investigator in the Intramural Research Program at the National Institute on Aging/NIH received his PhD degree in chemistry from Cornell University and did postdoctoral doctoral studies in molecular biology (University of Oregon) and clinical pharmacology (Thomas Jefferson Medical School). He worked for the US FDA and held positions at St Jude's Children's Research Hospital, at McGill University as Professor in the Department of Oncology, and as a Professor of Pharmacology at Georgetown University. Wainer has published over 350 scientific papers, 10 books, 25 book chapters and holds 11 patents. His awards include: 'A.J.P. Martin Medal' presented by the Chromatographic Society; Doctor HonorisCausa awarded by the Medical University of Gdansk (Gdansk, Poland, 2006), Doctor HonorisCausa awarded by the Department of Medicine, University of Liege (Liege, Belgium, 2012), and the 2013 Eastern Analytical Symposium Award for Outstanding Contributions to the Fields of Analytical Chemistry. Wainer's research includes the development of new therapeutic agents for the treatment of congestive heart failure, cancer, pain and depression, many of which are in the later stages of drug development. His laboratory has also continued the development of cellular membrane affinity chromatography technology, and recent work includes the development of columns containing immobilized forms of the breast cancer resistance protein found in cellular and nuclear membranes and mitochondrial membrane columns. Wainer's laboratory has also continued its study of the effect of disease progression and aging on drug metabolism in critically ill and terminal patients. Interview was conducted by Lisa Parks, Assistant Commissioning Editor of Bioanalysis. When I was about 8 years old, I happened to see a walkie-talkie set in that store's window, for $2.98. Well, as luck would have it, when I mentioned the walkie-talkie set to my mother, she said, "Well, it just so happens the organization that Yetta Saks is affiliated with" (the one associated with your brother, Rikki) is going to be holding a raffle, to raise money. Why don't you sell raffle tickets for her?" So, I did -- going door-to-door between 6 Mile and Curtis, and between Livernois and Wyoming (or close to it), getting 25 cents for each ticket I sold. Well, when I sold all the tickets in my little book, I walked home, and tallied up what I had earned -- which was more than enough to buy that walkie-talkie set. Which I did. Later, just for the hell of it, I tried to figure out how far I had walked, just to buy that walkie-talkie set. That's right: a shrimpy little 8-year-old (OK, a chubby little 8-year-old) walking 11 MILES, just to earn enough money to buy something he had seen in a toy store window. And how many times did I USE that walkie-talkie? Exactly once -- mainly because the two handsets were connected by WIRE, rather than being "radios," so their "range" was limited by the length of that wire, which was so short that you could hear the other person's voice without having to use the walkie-talkie! Not exactly what I had bargained for, when I fell in love with the thing! Oh well: at least the handsets LOOKED cool -- like something out of Buck Rogers! BTW, even though I had no physical problem right after my 11-mile walk, the next day my ankles were completely SHOT, and I think I soaked them for about 5 hours, just to be able to WALK again! Anyway, that's my "Saks Story" and I'm stickin' to it! Were you aware we share(d) a birthday with the actress Bonnie Franklin, of One Day at a Time, till she passed away in 2013? I think I "popped out" at around 4:45 in the morning in Women's Hospital, downtown. I assume that makes me older than you, so I'd like to see a little respect here, for your "elder"! Our instructor was a Mr. Curtis -- very likable, very enthusiastic guy. I attended the Saturday class for a couple of months -- October, November of 1958 -- and then quit, because all my friends (MY "Motley Crew") were GOING BOWLING, Saturday mornings, and I felt like an idiot, going to "art class" instead. Anyway, about six months later, in late Spring, I was sitting on a bench in the waiting area of the Principal's office at Post, doodling on a steno pad, waiting to be called into the office, itself, most likely for one of my all-too-often disciplinary hearings, when a guy came into the waiting area from the school hallway, walked the few feet up to the counter, and got the attention of one of the gals in the "bullpen." "Excuse me," he said, "Would you know if there are any openings for art teachers, or any other kind of teacher, for the Summer. Or for the regular school year?" I mean, the guy sounded really desperate, like he was on his last legs. So, I looked up from my doodling, just to get a look at such desperation. At which point, my heart sank: this guy, who was so desperate for work of ANY kind, was none other than the "MR. CURTIS," who had taught the Gifted Artists program!! Which shocked the Hell out of me: how could a guy who was good enough to teach the BEST ARTISTS DETROIT HAD TO OFFER be BEGGING for a job, six months later?? It made no sense! Which is when I learned one of life's most valuable lessons: if you expect this world to MAKE sense -- if you expect there to be some sort of "justice" in this world -- you'd better find a different world to live on. Which is when I began the process of doing just that: manufacturing my OWN world (cf, the "Merciless Pistons," for a trivial example), so that "everyone else's world" could never let me down again, as it had Mr. Curtis. Will be sure to let you know how that turns out..
"Back story" on the Rolls: I had seen it advertised in the Free Press about a month before Schermer's uncle (Morris Jacobs of "Belle Jacobs") bought it. I had tried to get MY dad to buy it -- it was only $2,500, or about the price of a new Buick back then -- since I thought it would be much cooler to be driving around in a Rolls-Royce than anything Detroit was putting out. Well, my dad didn't buy it. So I forgot about it, until the next time I saw it -- the first time being in the Free Press -- which was on LARRY OKRENT'S FRONT LAWN, the night of the prom! Obviously, Schermer's uncle had the same thought I did: why tool around in a Cadillac or a Lincoln (Morris had, in fact, owned one of the classic 1956 Lincoln Continental's), when you can do so in a ROLLS-ROYCE for LESS MONEY!! So, way to go Morris -- and Mike! "Back story" on the Rolls-Royce: I had seen it advertised in the Free Press about a month before Schermer's uncle (Morris Jacobs of "Belle Jacobs") bought it. I had tried to get MY dad to buy it -- it was only $2,500, or about the price of a new Buick back then -- since I thought it would be much cooler to be driving around in a Rolls-Royce than anything Detroit was putting out. Just read that "Wired" article about you being the only human on Earth who can save the world. Which is all well and good (I mean, somebody has to), but the main thing I got out of the article was your picture: I can't believe how much better you look as an OLD dude than you ever did as a kid!! Wow!